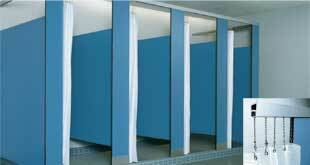 Complete Line of Shower Stalls, Dividers, and Partitions professionally installed by Snap Wall. 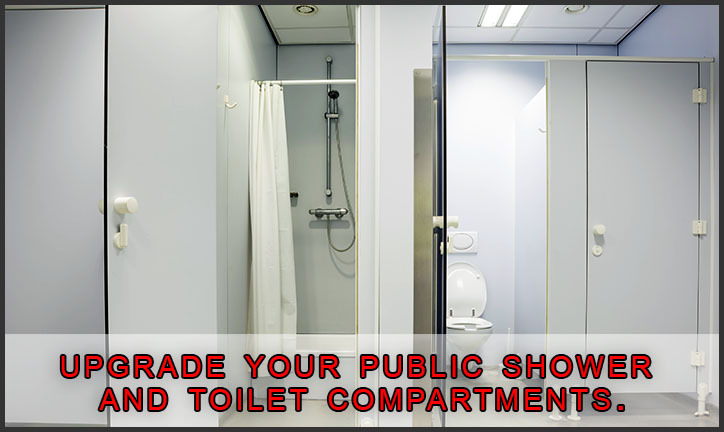 Professionally designed, planned, and installed shower stalls, dividers, and partitions. 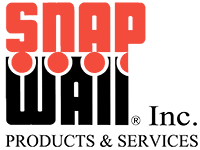 Many styles, colors and features from which to choose! Customize with grab bars, hooks, bench bath seats, and more. 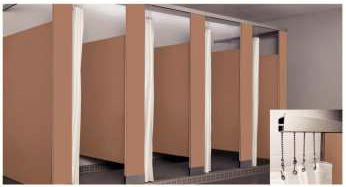 To view other washroom fixtures and accessories, click here. 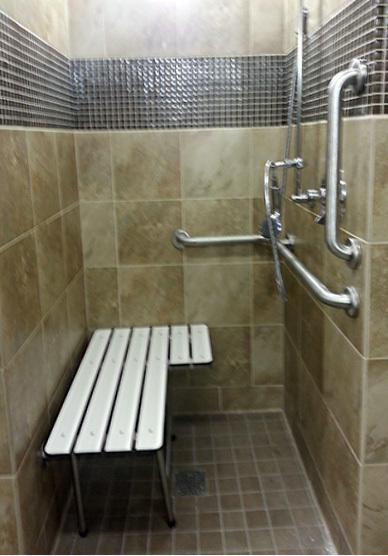 and shower fixtures such as safety grab bars and bench seats.